Fascinated by transformation and the wide-ranging variety of businesses, Catherine Dedieu develops meaningful projects to generate connections and opportunities for her clients by mobilising the multidisciplinary approach practised at the Ecole Normale Supérieure and a curiosity for the economic and social sectors discovered at the Paris Institut des Etudes Politiques. Her professional experience has always inspired her, whether when writing for the French Ministry of Defence, as Communications Director for CS Communication & Systèmes, or at Accenture, first as Communications and Marketing Director – France-Benelux and then as Director of Marketing – Technology for the EALA region. She founded Dedieu Projects in 2012 with a view to exploring a more personal adventure developing new approaches for her clients. In 2012, she published Métamorphoses du Marketing in collaboration with Christine Removille and in 2016 directed the book project Homo numericus au travail for Altedia and HEC, published by Economica. Continuous monitoring of new innovation paths and a capacity to reinvent ecosystems at Dedieu Projects. 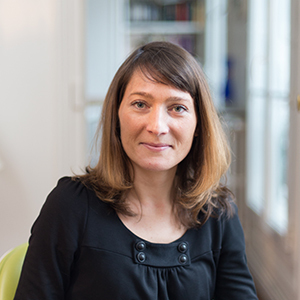 She co-wrote with Catherine Dedieu the book Homo numericus au travail for Altedia and HEC, published by Economica in 2016.